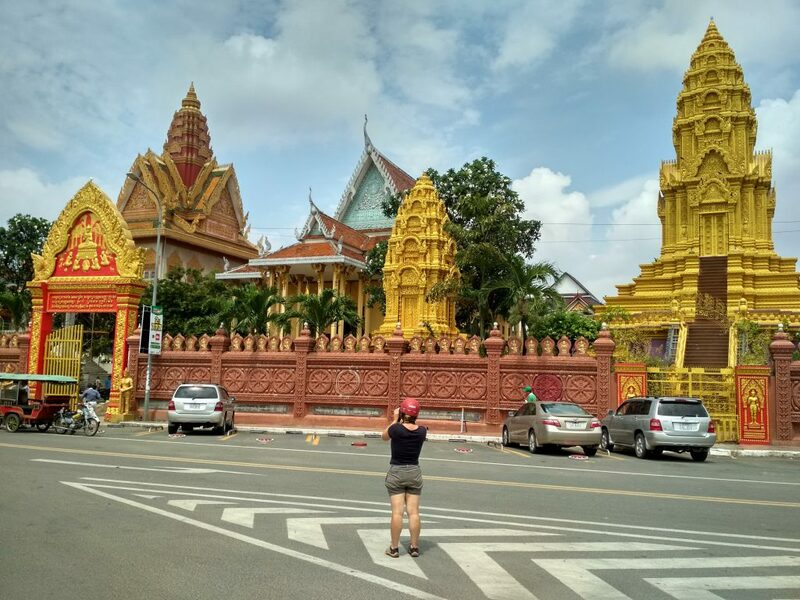 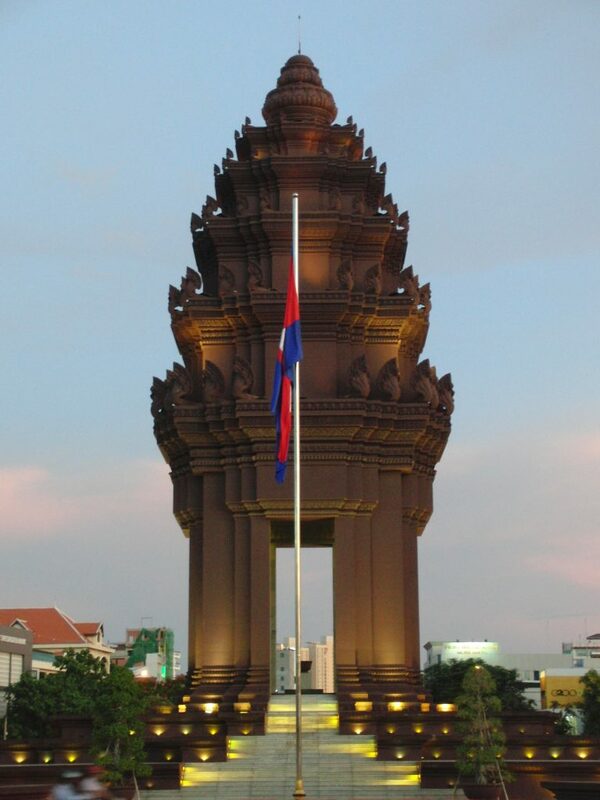 Phnom Penh, capital of Cambodia, was our starting point as the bus from Ho Chi Minh City ended up there. 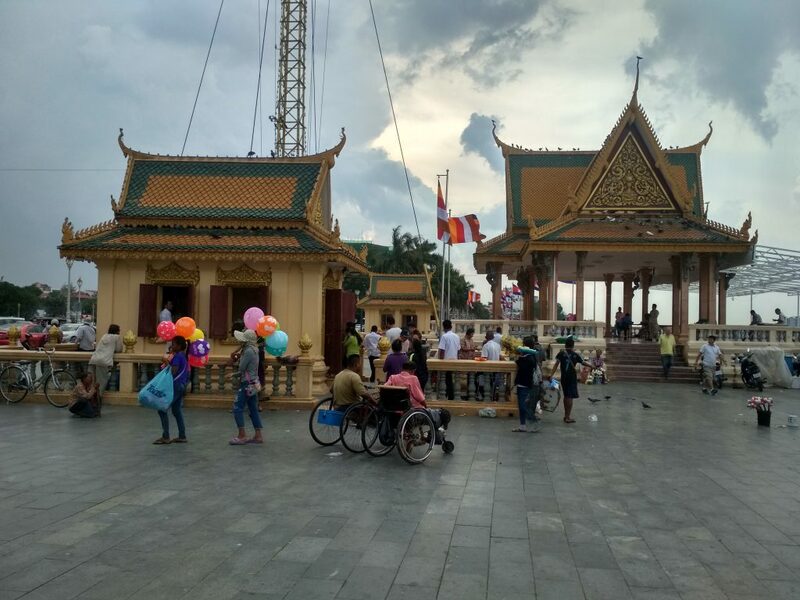 Personally, I think that Phnom Penh has a lot to offer and a good night life and food culture, but there is a little bit a vibe missing. 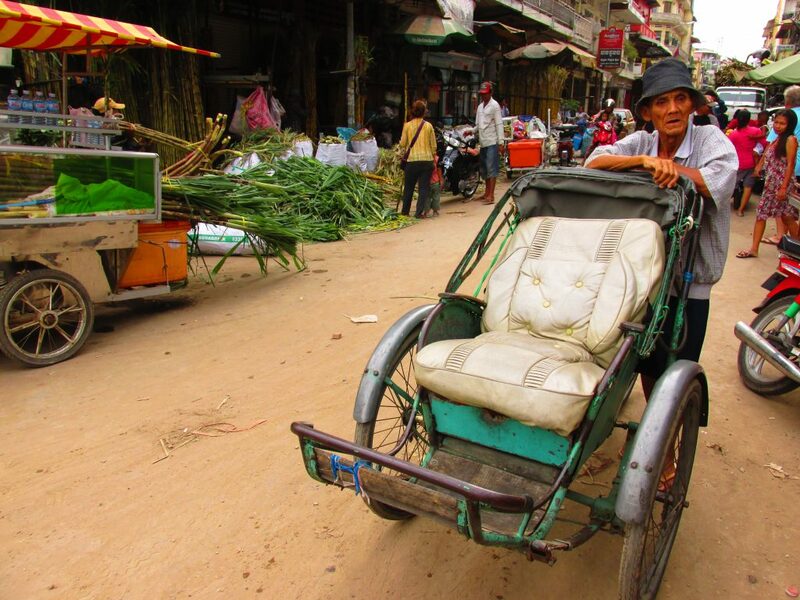 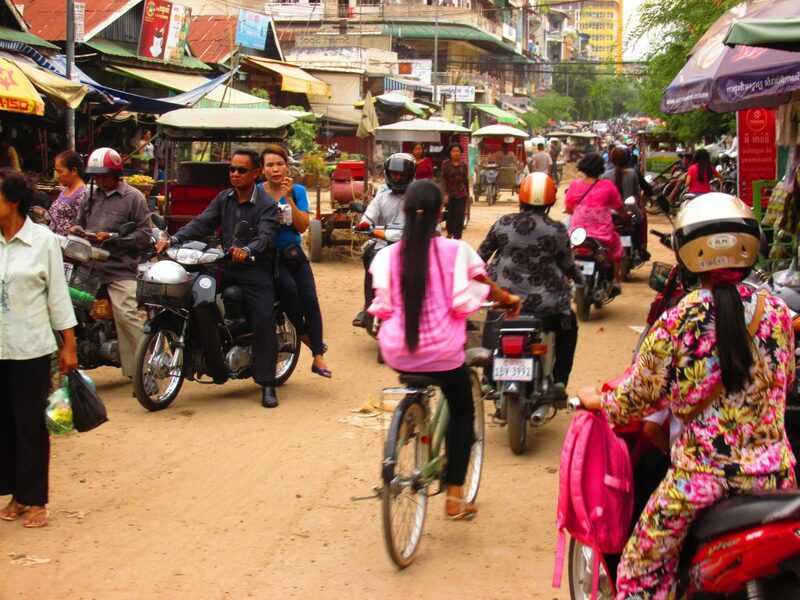 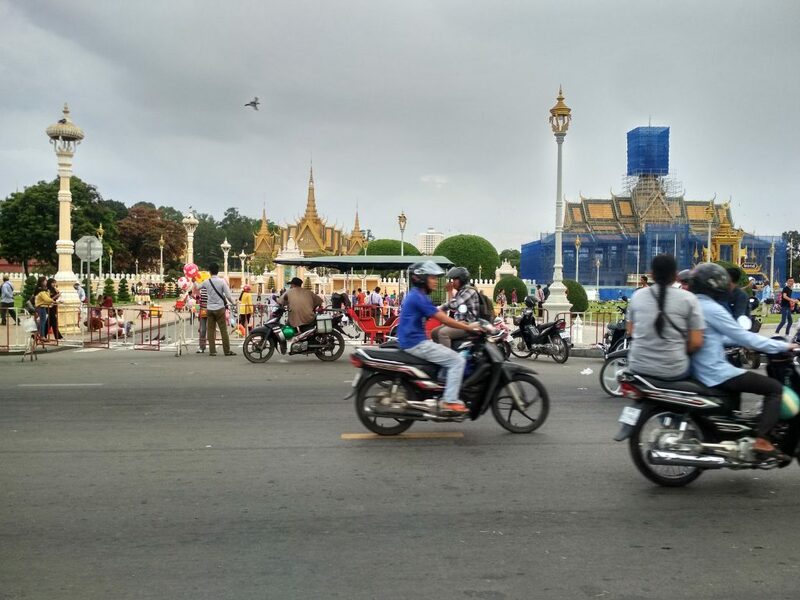 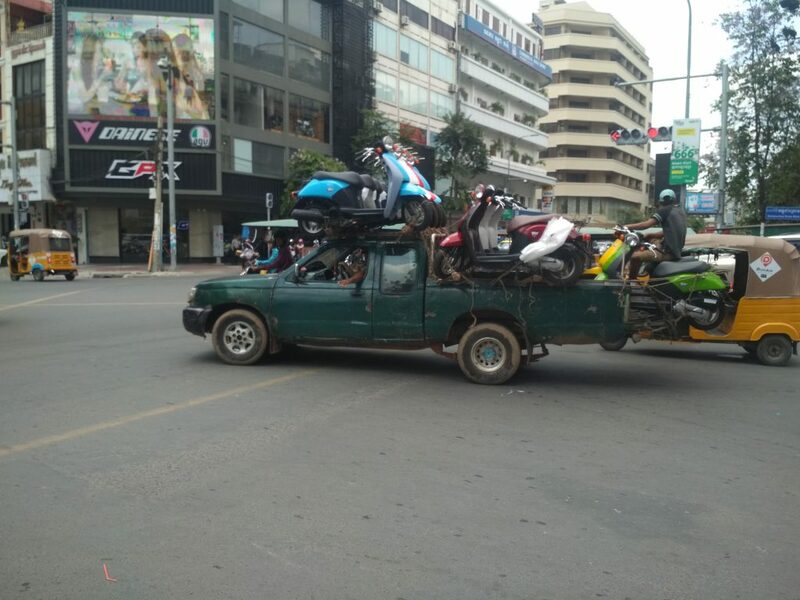 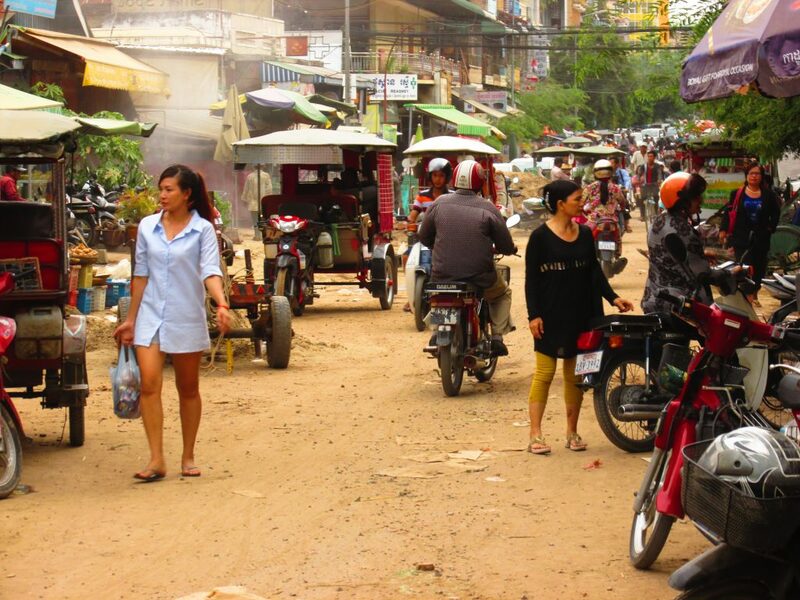 Worldtrip Berlin Tip: Best way to see Phnom Penh is the motorbike if you are comfortable to drive in the chaotic traffic. 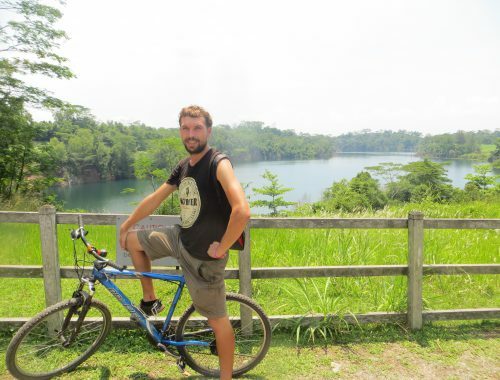 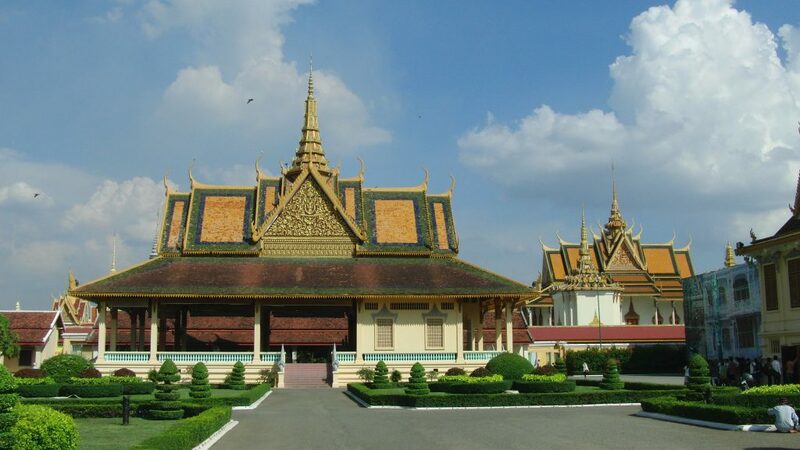 Also, you save a lot of money if you want to visit the killing fields and avoid paying a Tuk-Tuk for half a day. 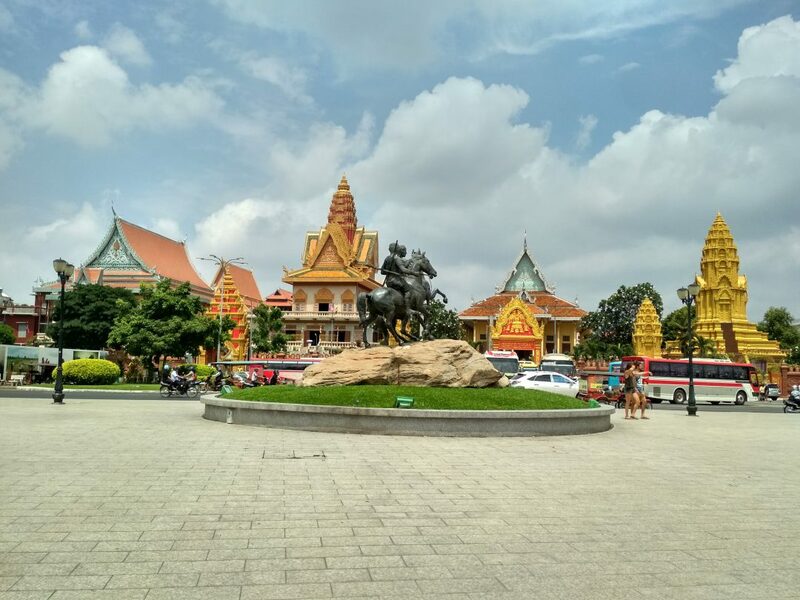 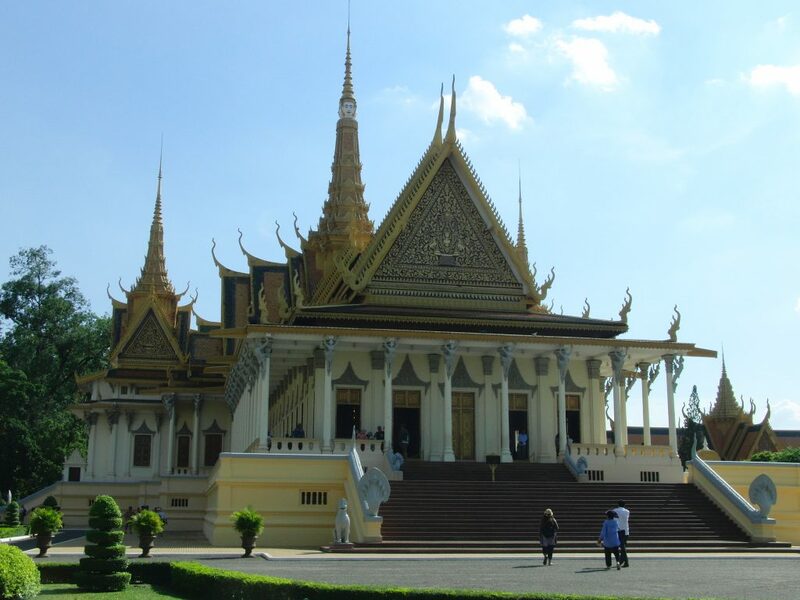 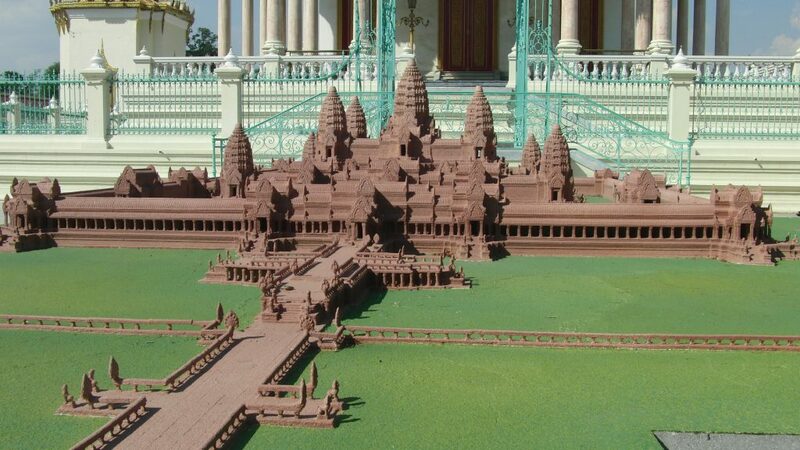 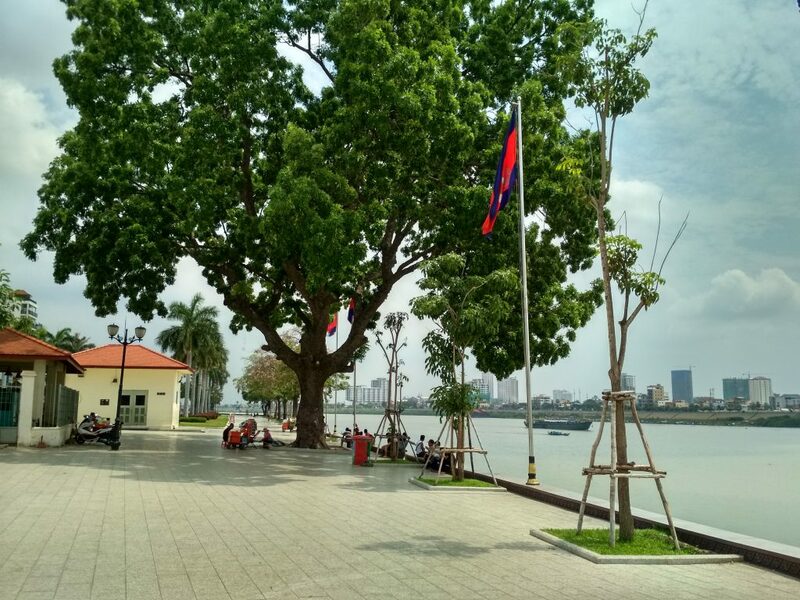 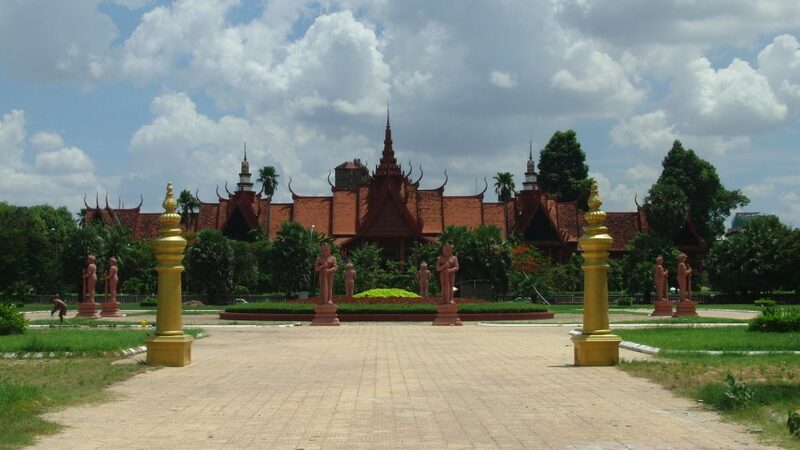 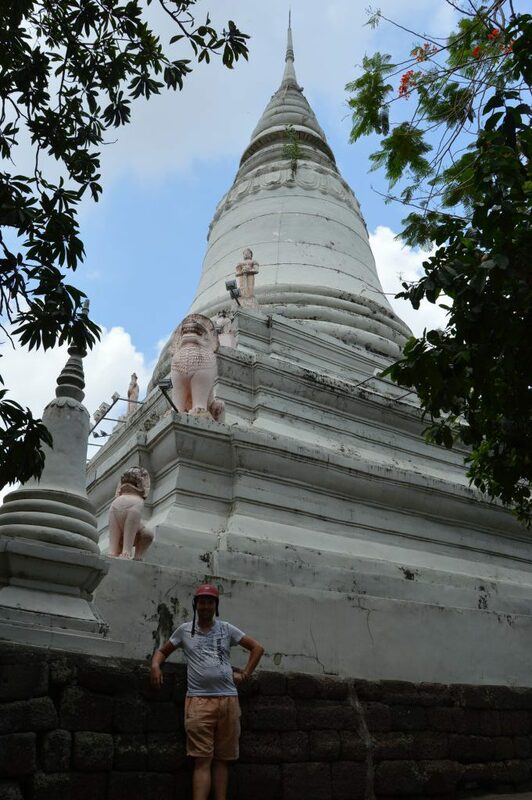 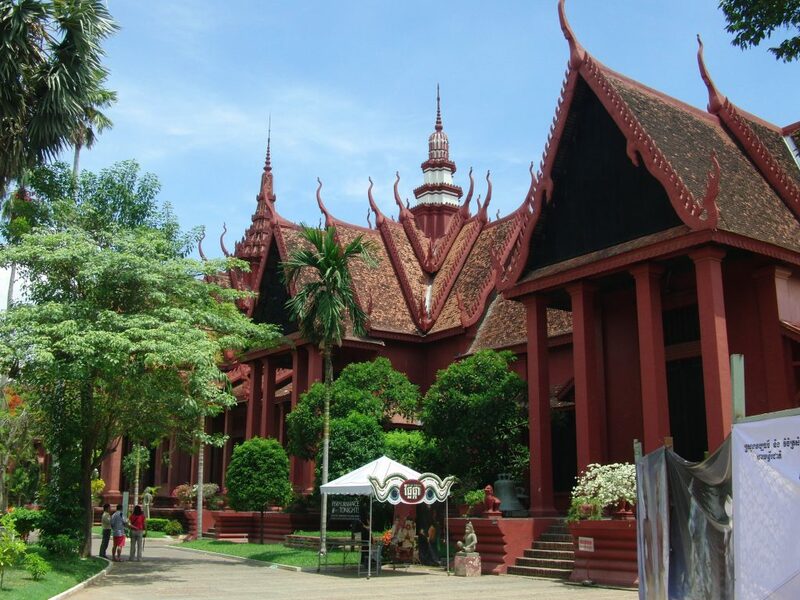 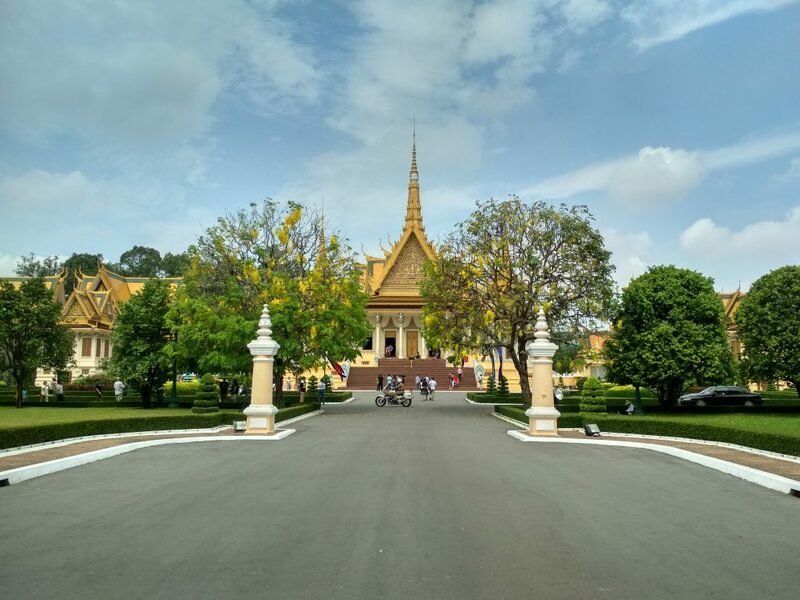 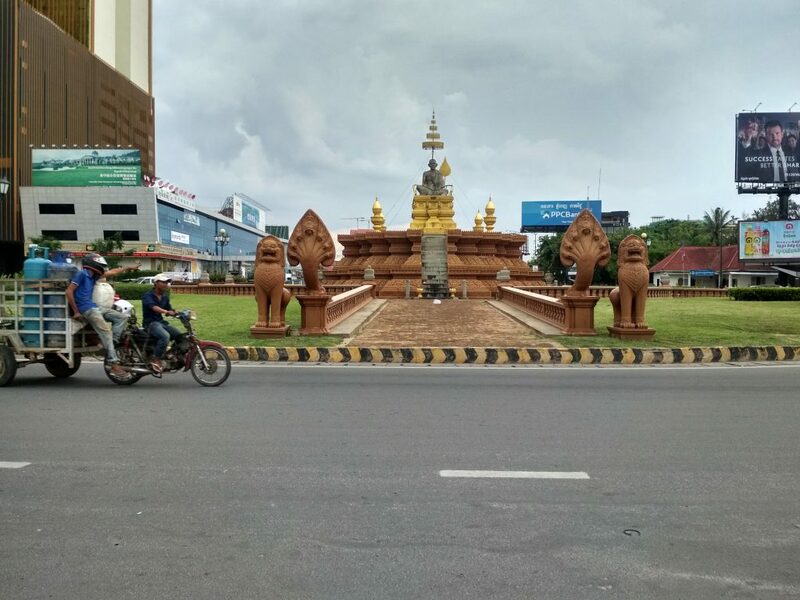 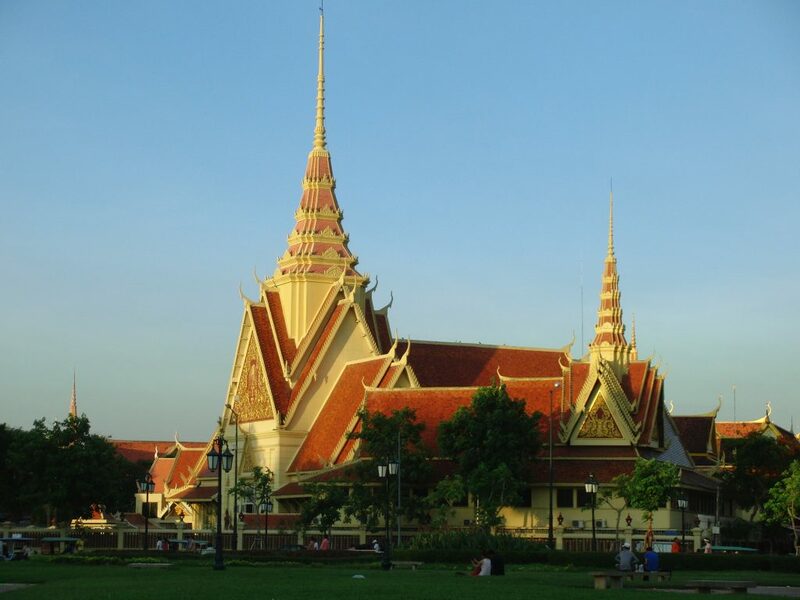 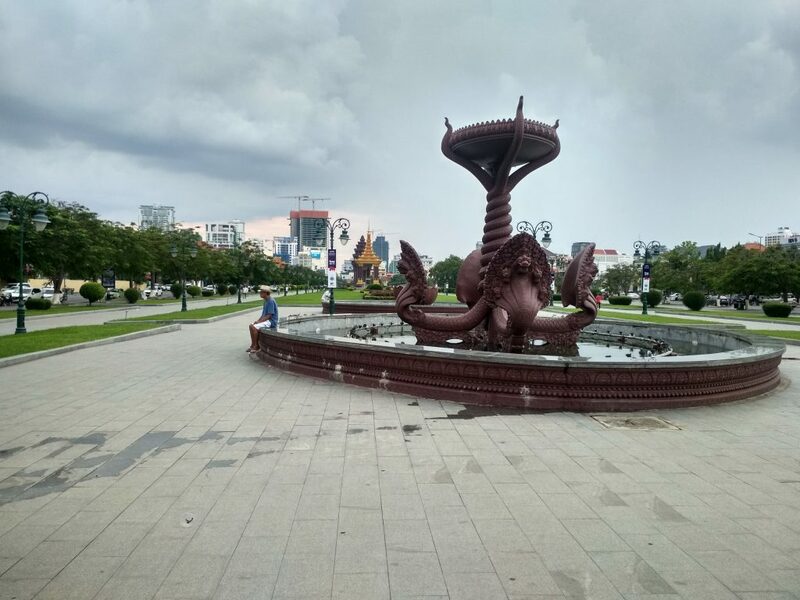 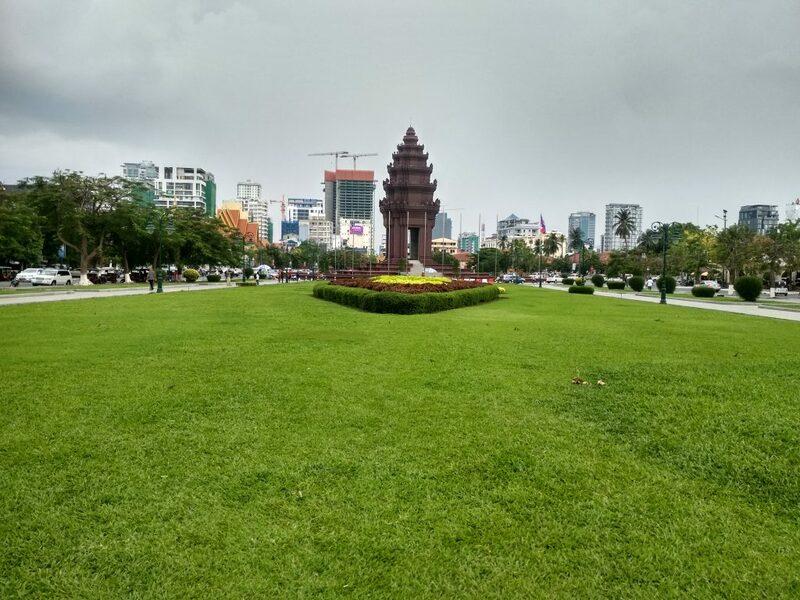 As it is simple to find the top spots of Phnom Penh, I will give you in this report more impression and less text. 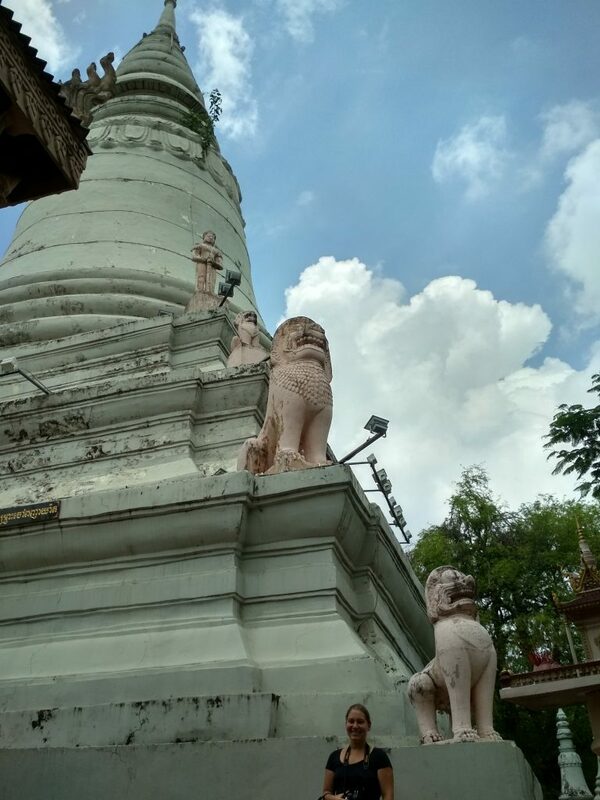 Still, if anybody has questions about certain places, feel free to contact. 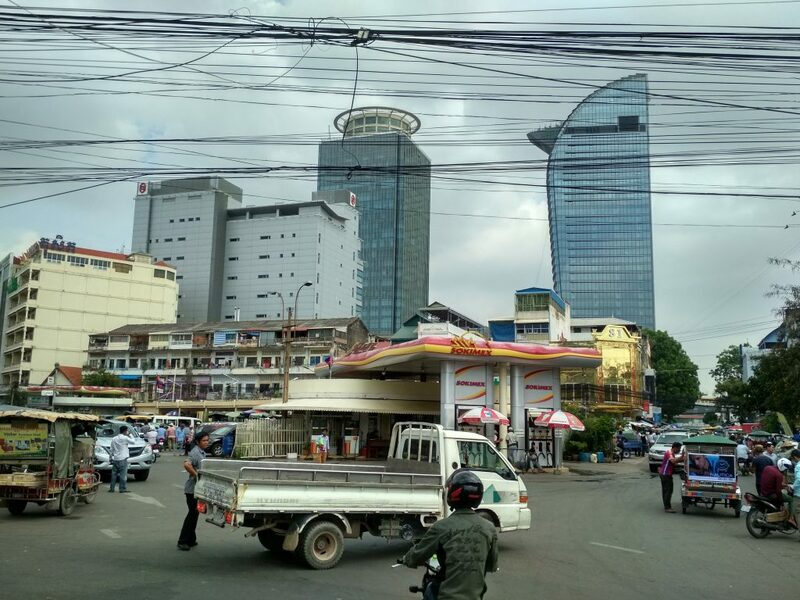 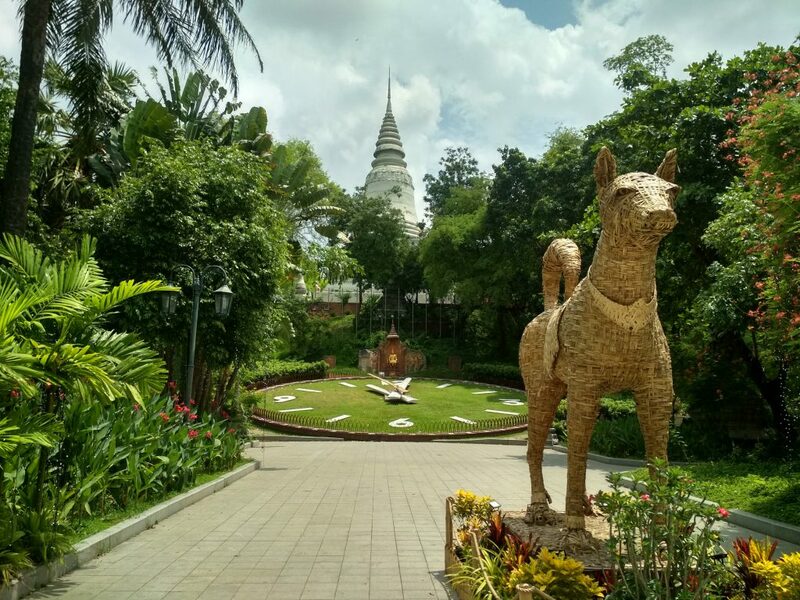 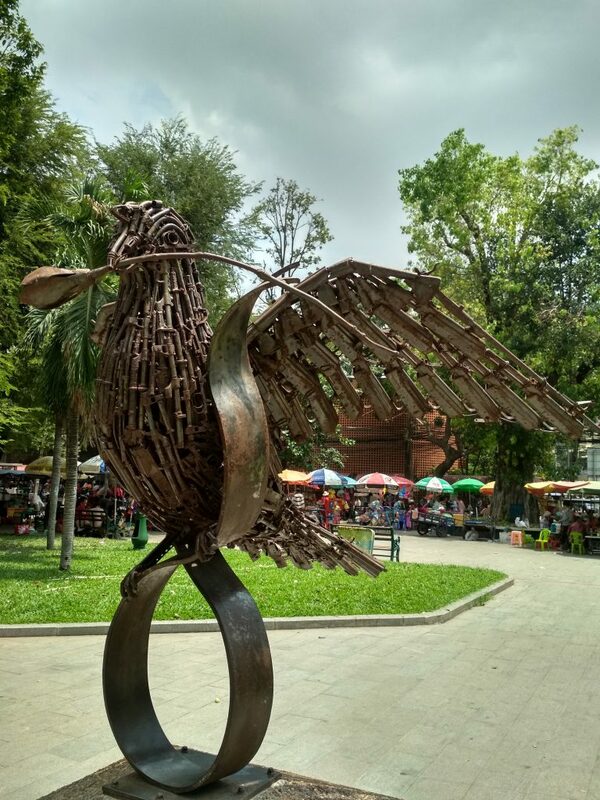 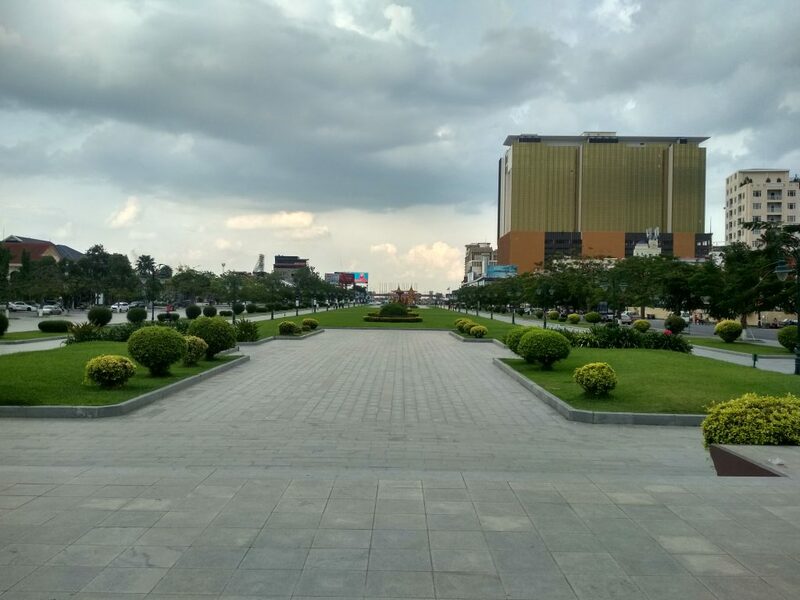 Worldtrip Berlin Tip: There is one place I really like and want to recommend in Phnom Penh – The Sorya Center Point Shopping Center which has a 360-degree Skydeck. 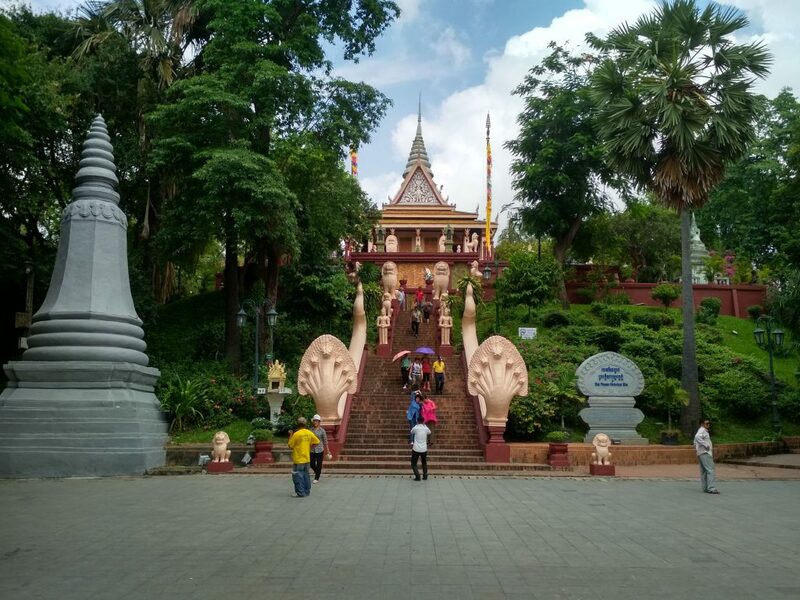 To enter you need to take the lift to the 6th and go into the restaurant and one level up. 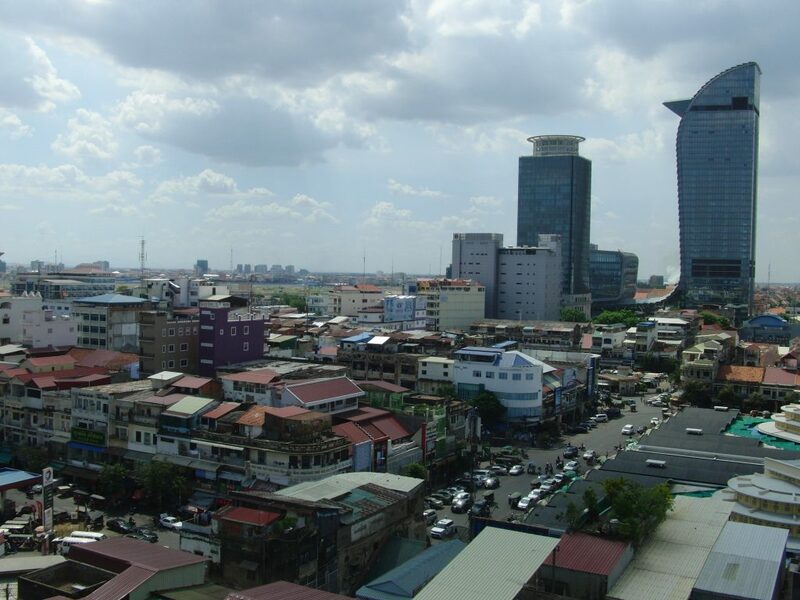 There will be an open door saying “Best City Views” to access. 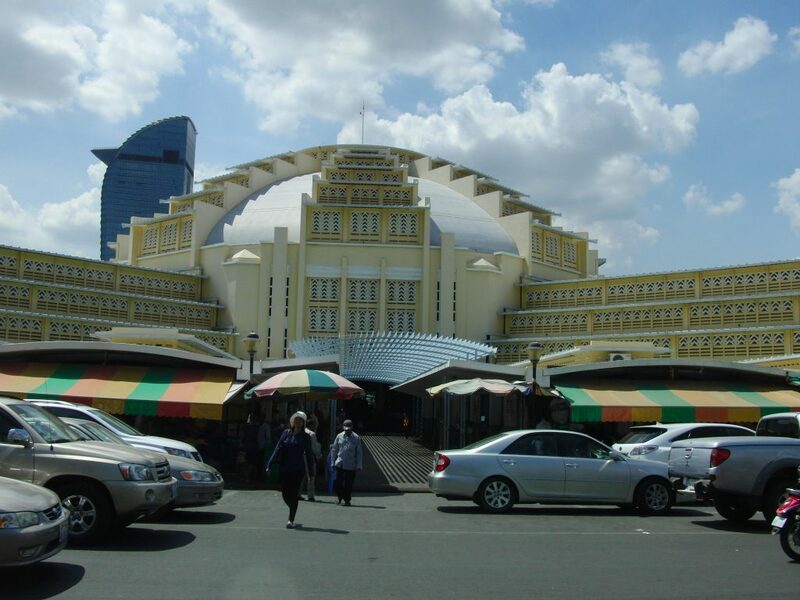 The restaurant is more a fast food court, so the staff wouldn’t stop you from entering. 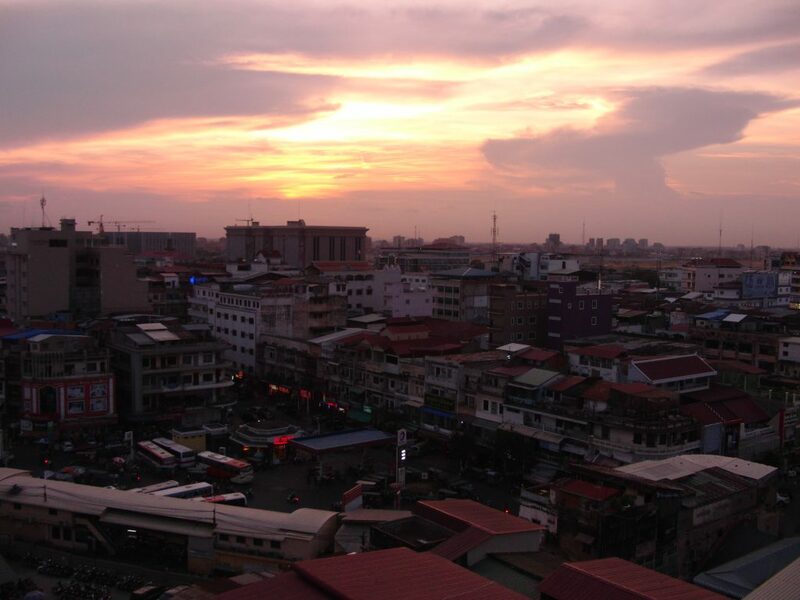 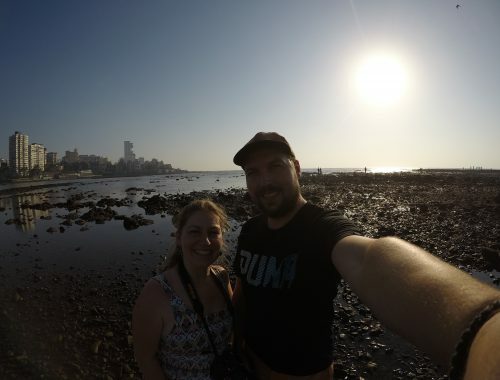 The best thing about it is that there is a supermarket in the ground floor, so you can take your backpack and fill it up with snacks, beers and enjoy the sunset over Phnom Penh. 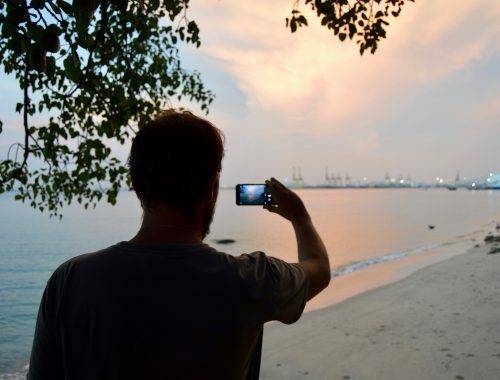 This tip is especially good for small groups, as there are mostly no other people up there. 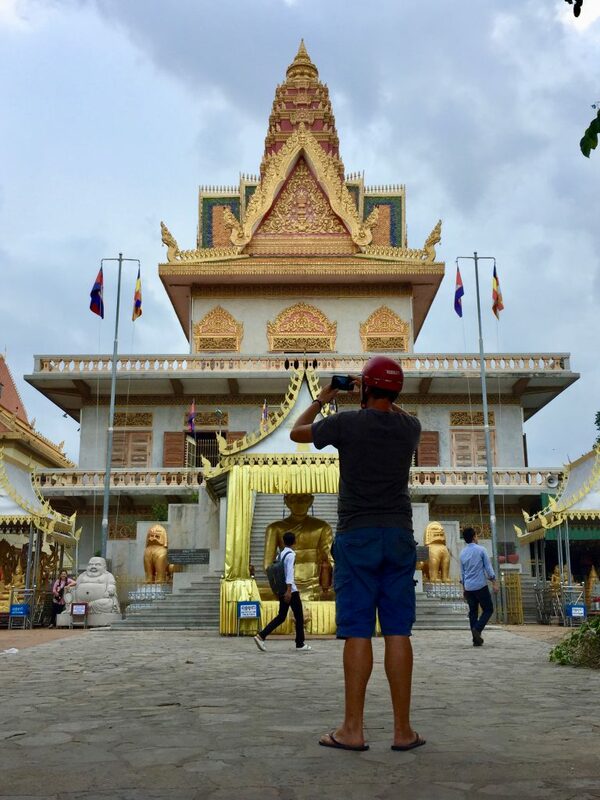 The report about the Killing Fields and mass genocide in Cambodia will be separate as it deserves to be mentioned more precise. 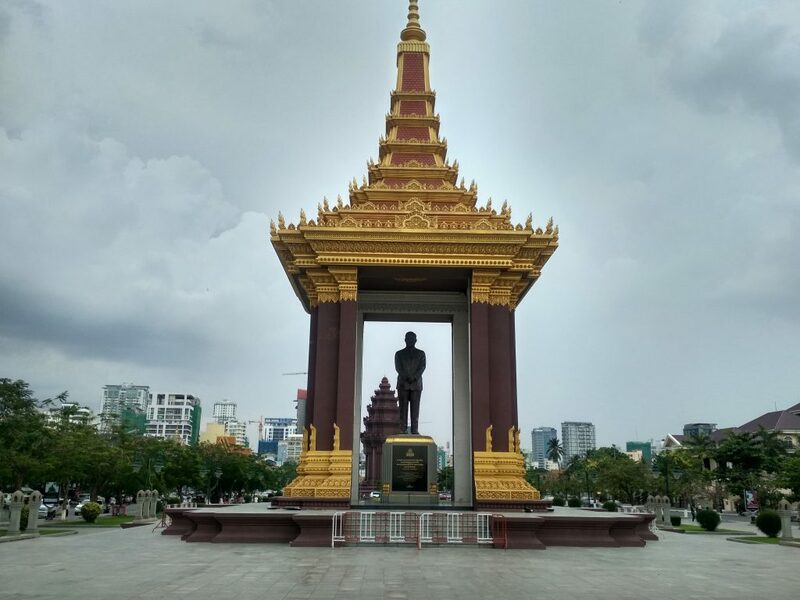 Please share your experiences, tips and tricks about Phnom Penh in the comment section to help others!